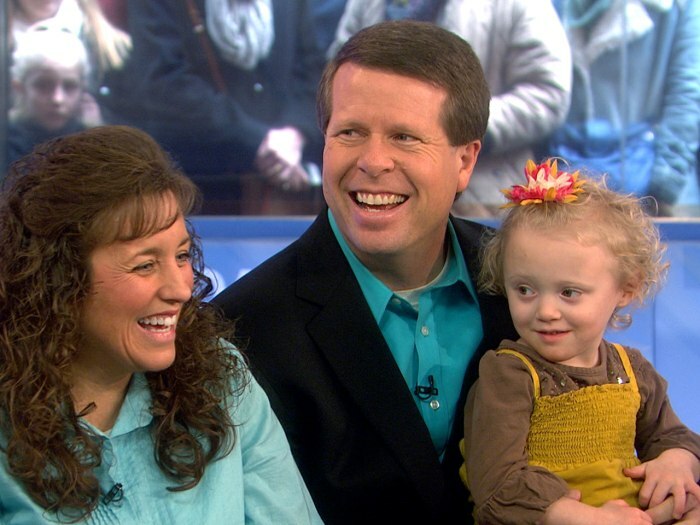 The Duggars’ third grandchild will be a boy, the super-sized family revealed to TODAY. Jim Bob and Michelle Duggar, parents of 19 children, spoke to TODAY exclusively to reveal the gender of their next grandbaby, due June 7. They also talked about the possibility of adopting more children of their own, though they haven’t yet decided on that. 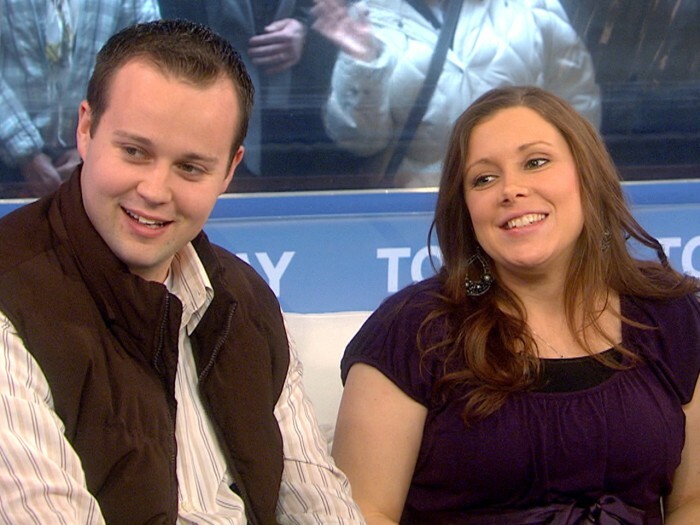 Anna and Josh Duggar, the oldest of the Arkansas family's 19 children, are expecting their third child, a boy, in June. “We are so thrilled. It’s a little boy, so they’ll have two boys and one girl,” Michelle told TODAY Moms. “Probably the second boy of many to come,” Jim Bob predicted. This will be the third child for Anna and Josh Duggar – Josh, 25, is the oldest of Michelle and Jim Bob’s children. He and his wife have spoken of their desire to follow in his parents’ footsteps by eschewing birth control and letting God determine the size of their family. "Children are a blessing," Anna told TODAY in a previous interview. Josh and Anna Duggar, who married in 2008, have a 3-year-old daughter, Mackynzie Renee, and a 1-year-old son, Michael James. Jim Bob said his children are all excited about the new grandchild, especially the boys. (Josh’s children are the same age as their youngest aunts and uncles.) Michelle said she’s fully enjoying the grandparent experience. “It’s all the fun and none of the responsibility,” she enthused. “Just things like, I’m not the one having to remember to pack the diaper bag.” Josh and Anna's baby gender reveal will be featured on an upcoming episode of “19 Kids and Counting,” the Duggars’ reality show on TLC. Michelle and Jim Bob Duggar, parents of 19, are looking forward to their third grandchild and considering adopting another child of their own. Michelle lost her 20th pregnancy to a miscarriage in 2011. A recent family trip to China that included a visit to an orphanage has prompted the family to think about adoption. “We’re praying about if the Lord would want us to adopt,” Michelle said, and they haven’t come to an answer yet. But the couple said they’d be interested in possibly adopting from El Salvador, where the family has taken mission trips to do community service for the past six years. One problem is that adopting from El Salvador can take three to five years, Jim Bob said. The U.S. State Department website says that Salvadoran adoptions can take up to three years, “but have often taken much longer.” The Duggars said regardless of whether they adopt, they’d like to change that. “Hopefully we can use our influence to streamline the process,”Jim Bob said. The prospect of adopting “does really tug at our heartstrings,” Michelle said. Several friends at their church have adopted, including one family with nine biological children and 12 children adopted from around the U.S. and other countries. "19 Kids and Counting" airs on Tuesdays at 9 p.m. ET/8 Central on TLC.